I find it runs a little small and went up to a size Medium. Pictured with olive lace up sandals [exact, lower price option] and dark wash 7 for all mankind jeans. The shirt is adorable but these shoes have me beside myself with envy! They are absolutely fabulous! I'm obsessed with this top!! So cute! 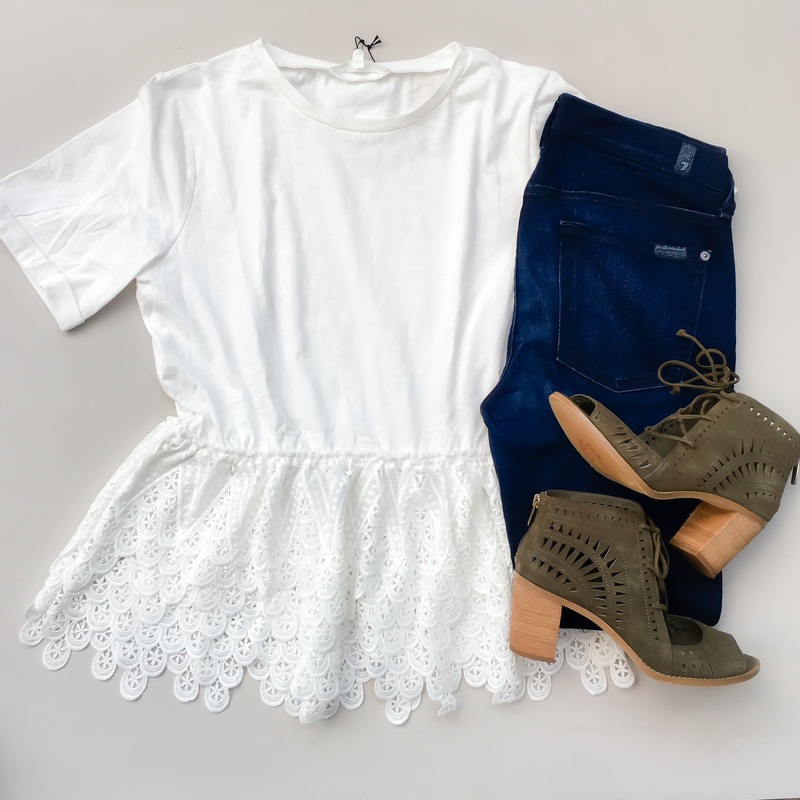 LOVE the top and the shoes! You take such good outfit selfies. I really need to learn how to do that!